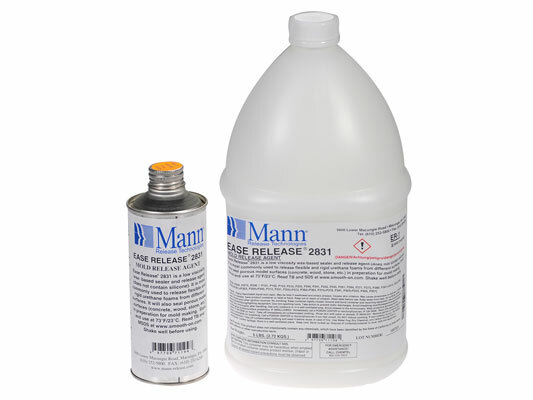 Ease Release™ 2831 Product Information | Smooth-On, Inc.
Ease Release™ 2831 is a wax-based non-silicone release agent. It has proven to be effective when used to release polyurethane foams elastomers. Ease Release™ 2831 works with aluminum, steel, and elastomeric mold construction. Applying - Apply a coat of Ease Release™ 2831 with a spray or brush, and allow to dry. Rub Ease Release™ 2831 into mold surface with a clean cloth. Repeat two or three times to seal the mold surface. Start molding and reapply a light coat of Ease Release™ 2831 after each molding cycle. Finishing - Thorough cleaning of the molded parts is recommended prior to bonding or any other post mold finishing.